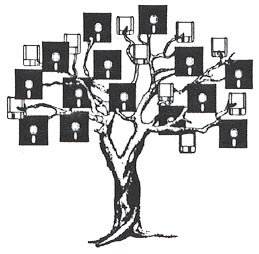 The MetroNY Genealogy & Computers Special Interest Group (SIG) is a joint effort of the New York PC Users Group, the New York Macintosh User Group and the NY Metro Area PAF Users Group. All are welcome to participate. reviews of both computer software and hardware. Check our meeting schedule. To verify the meeting dates as these are subject to change, you may wish to subscribe to our e-mail mailing list. For information on how to subscribe to the mailing list, see our web site for instructions. Return to our Metro New York Computers & Genealogy Home Page. Go to NYG&B web site.